Let the many pages of colourful illustrations bring new life to student activity sheets from this new eBook edition. Still preserves key black and white illustration pages for children to colour. Comprehensive learning program. Inspire and assist students, of all abilities, to effectively and efficiently learn the alphabet. 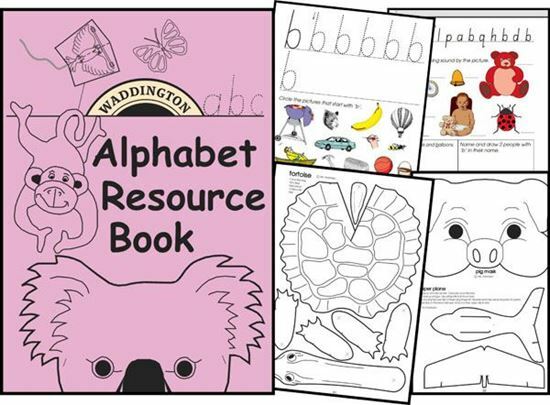 Packed with craft and technology based activities, including graded worksheets for every letter. 20 years in the making! 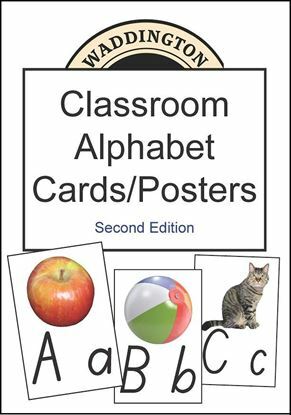 A must for anyone faced with teaching students alphabet and early written language skills. 106p. Over 147 potential pages when our economical A6 masters are enlarged! Pages may be printed under Educational Statutory Licence provisions. This eBook PDF document can be used on any computer and instructions are given on disk for easy installation on iPad devices.